Captain Humbert Roque Versace (July 2, 1937 – September 26, 1965), affectionately called “Rocky,” was an officer of the United States Army. He went on to receive the Medal of Honor – the greatest military decoration of the United States – for the heroic actions he undertook as a prisoner of war in the Vietnam War. Puerto Rican-Italian by descent, he was the first member of the U.S. Army to have ever received such a distinction. Born on July 2, 1937, in Honolulu, Hawaii, Versace was the eldest of five children. Versace’s father was Colonel Humbert Joseph Versace (1911–1972), and his mother was Marie Teresa Ríos (1917–1999) – who has authored three books, which includes the popular work Fifteenth Pelican, on which the 1960s Sally Field-starrer The Flying Nun was based. Having grown up in Alexandria, Virginia, Versace attended Gonzaga College High School in Washington, D.C. during his freshman and sophomore years, Frankfurt American High School in his junior year, and after graduating from Norfolk Catholic High School in his senior year, enrolled in the Armed Forces from Norfolk in Virginia. Following in the footsteps of his father, Versace graduated from the West Point U.S. Military Academy in 1959 and entered the United States Army as a Second Lieutenant of Armor. 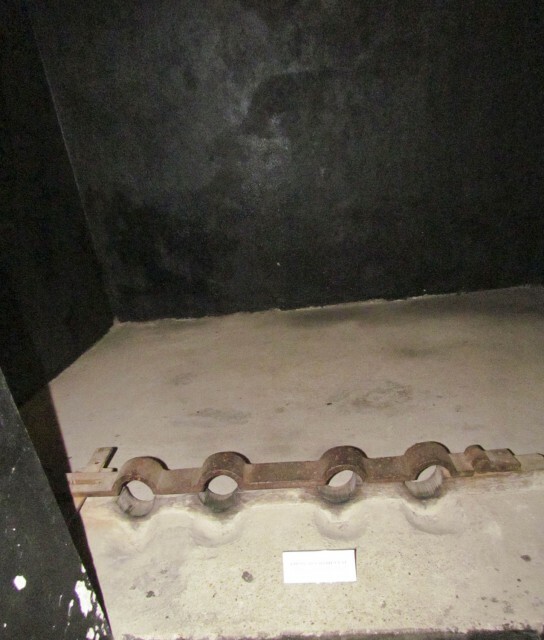 Leg shackles that were used in the ”Hanoi Hilton,” the Hanoi prison that was built by French colonialists and later housed American pilots captured during the Vietnam War. During his time in Ranger School, Versace was a member of Ranger Class 4-60. On December 18, 1959, he received the Ranger Tab. Once he graduated from Ranger School, Versace – who was now promoted to Captain, attended Airborne School where he was awarded the parachutist badge. Thereafter, he went on to serve with the 3rd Battalion, 40th Armor, 1st Cavalry Division in the Republic of Korea as an M-48 tank platoon leader – a post that he continued from March 1960 to April 1961. Versace started his first tour of duty in war-torn Vietnam in the capacity of an intelligence advisor starting May 12, 1962. Just a year later, in May 1963, Versace put in a request for an extension of his tour by six months. He wanted to attend seminary at the conclusion of his service and join the Catholic priesthood, in hopes that he could thereafter return to Vietnam at a later date to work with the orphans as a missionary. At just about two weeks before his tour was to actually end, on 29 October 1963, on a friendly visit to a classmate from the Military Academy in Detachment A-23 of 5th Special Forces Group in the Mekong Delta, Versace accompanied numerous South Vietnamese Civilian Irregular Defense (CIDG) troop companies. They had attacked a command post located in the U-Minh Forest, which was a stronghold area of the Viet Cong. Versace’s unit was ambushed and overrun by a Main Force battalion of the Viet Cong, and Versace himself got gravely wounded. However, even in his critical state, he could provide enough firepower to allow the CIDG forces to retreat from the killing zone. Although a 200-strong second government force that operated from a few thousand yards from the site of the ambush learned of the mishap, they were far too late to be of any help. According to U.S. authorities, there were communist radio jammers that had blocked the main channel as well as the alternate channel on all local military radios – which contributed to the delay. A captured Versace was locked up in a prison that existed in the deeper areas of the jungle. With him were two other American prisoners of war – Sergeant Dan Pitzer and Lieutenant Nick Rowe. Even in his state, a valiant Versace tried to escape four times, however, he got caught every time. Versace, however, continued to resist the torture of Viet Cong by insulting them during indoctrination sessions and repeatedly quoting the Geneva Convention treaty. Due to his persistent behavior, Versace was separated from the other prisoners by the Viet Cong. The prisoners reportedly last heard his voice singing “God Bless America,” loudly and proudly, which they believe were indeed his last words. On September 26, 1965, the “Liberation Radio” of North Vietnam announced Captain Humbert Roque Versace’s execution. Versace’s remains were never recovered, and his headstone, which can easily be located in the Memorial section MG-108, stands on an empty grave at Arlington National Cemetery. Once Versace’s parents gained knowledge of the fate of their son, Marie and her husband, Colonel Versace, decided to find out everything they could the circumstances in which the tragedy had happened. Marie went to Paris in the late 1960s to see the North Vietnamese delegation that had come to Paris to negotiate a peace deal. However, she was unsuccessful in her attempts and expressed her frustration and anguish through poems. Although Versace was nominated for the Medal of Honor in 1969, the attempt failed, and Versace received a posthumous Silver Star instead. It was only when the “Friends of Rocky Versace” reinitiated the cause of getting Versace a much-deserved Medal of Honor did the matter come back into the limelight. Finally, in 2002, the Defense Authorization Act ended the standoff by awarding the Medal of Honor – the most prestigious military decoration for combat valor to Versace. On July 8, 2002, in a ceremony in the East Room of the White House, then-President George W. Bush awarded Versace a posthumous Medal of Honor for his heroic actions. This was the first time in history that an Army POW had ever been awarded the very highest military distinction for showing immense courage in the face of captivity. The surviving siblings of Rocky Versace – Dr Stephen Versace, Richard, Michael and Trilby Versace were present at the ceremony. On November 7, 2008, an announcement was made by the Department of the Army which revoked the Silver Star awarded to Versace as he had received the Medal of Honor. For conspicuous gallantry and intrepidity at the risk of his life above and beyond the call of duty while a prisoner of war during the period of October 29, 1963 to September 26, 1965 in the Republic of Vietnam. While accompanying a Civilian Irregular Defense Group patrol engaged in combat operations in Thoi Binh District, An Xuyen Province, Republic of Vietnam on October 29, 1963, Captain Versace and the CIDG assault force were caught in an ambush from intense mortar, automatic weapons, and small arms fire from elements of a reinforced enemy Main Force battalion. As the battle raged, Captain Versace fought valiantly and encouraged his CIDG patrol to return fire against overwhelming enemy forces. He provided covering fire from an exposed position to enable friendly forces to withdraw from the killing zone when it was apparent that their position would be overrun, and was severely wounded in the knee and back from automatic weapons fire and shrapnel. He stubbornly resisted capture with the last full measure of his strength and ammunition. Taken prisoner by the Viet Cong, he demonstrated exceptional leadership and resolute adherence to the tenets of the Code of Conduct from the time he entered into a prisoner of war status. Captain Versace assumed command of his fellow American prisoners, and despite being kept locked in irons in an isolation box, raised their morale by singing messages to popular songs of the day, and leaving inspiring messages at the latrine. Within three weeks of captivity, and despite the severity of his untreated wounds, he attempted the first of four escape attempts by dragging himself on his hands and knees out of the camp through dense swamp and forbidding vegetation to freedom. Crawling at a very slow pace due to his weakened condition, the guards quickly discovered him outside the camp and recaptured him. Captain Versace scorned the enemy’s exhaustive interrogation and indoctrination efforts, and inspired his fellow prisoners to resist to the best of their ability. 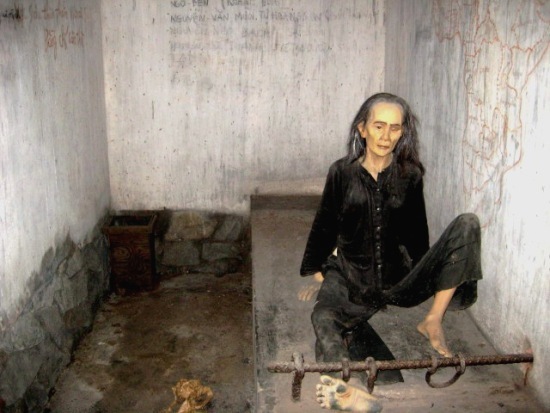 When he used his Vietnamese language skills to protest improper treatment of the American prisoners by the guards, he was put into leg irons and gagged to keep his protestations out of earshot of the other American prisoners in the camp. The last time that any of his fellow prisoners heard from him, Captain Versace was singing God Bless America at the top of his voice from his isolation box. 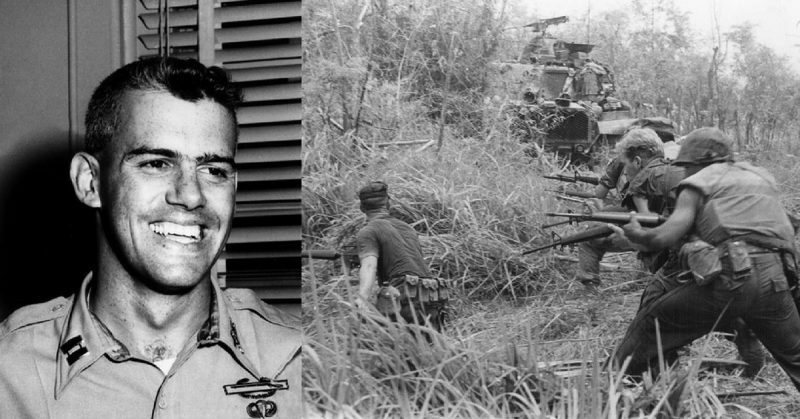 Unable to break his indomitable will, his faith in God, and his trust in the United States of America and his fellow prisoners, Captain Versace was executed by the Viet Cong on September 26, 1965. Captain Versaces extraordinary heroism, self-sacrifice, and personal bravery involving conspicuous risk of life above and beyond the call of duty were in keeping with the highest traditions of the United States Army, and reflect great credit to himself and the U.S. Armed Forces.